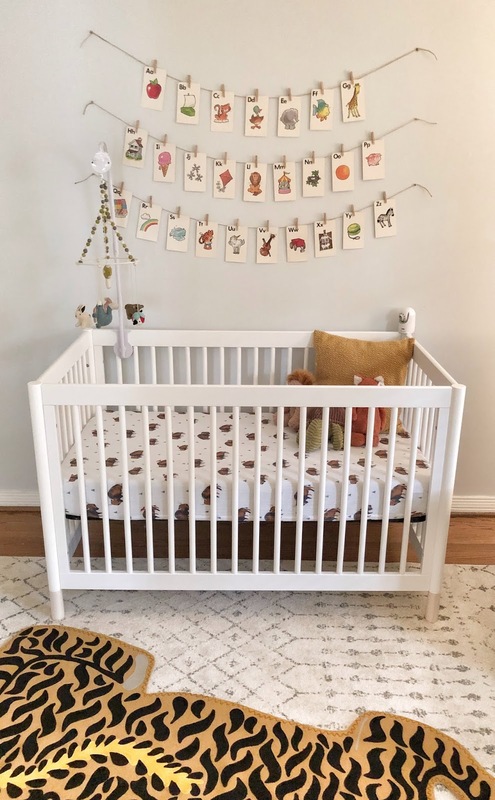 Decorating the nursery is one of the things I've looked forward to most about our new home and it has been so fun to pull together Mills' little space! 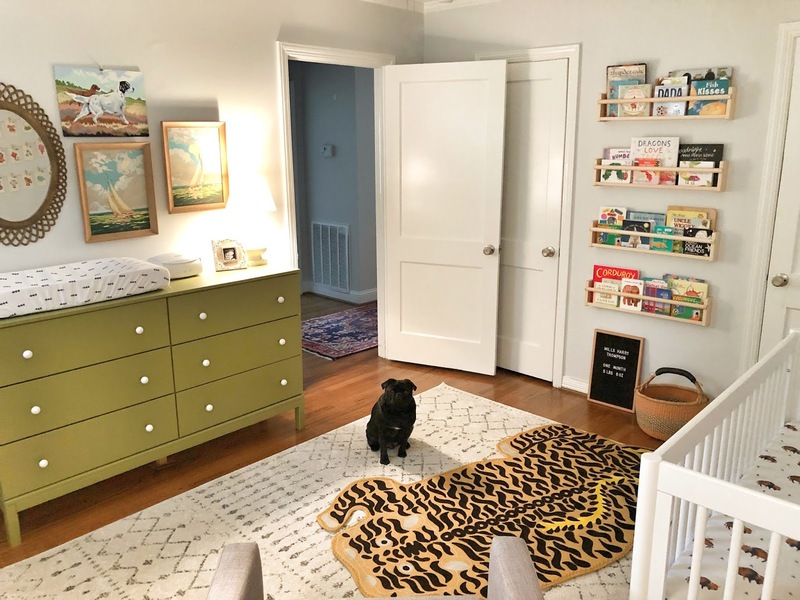 As you may remember from this post my goal for the nursery was for it to be a colorful collected space that was functional, charming and adaptable over time. 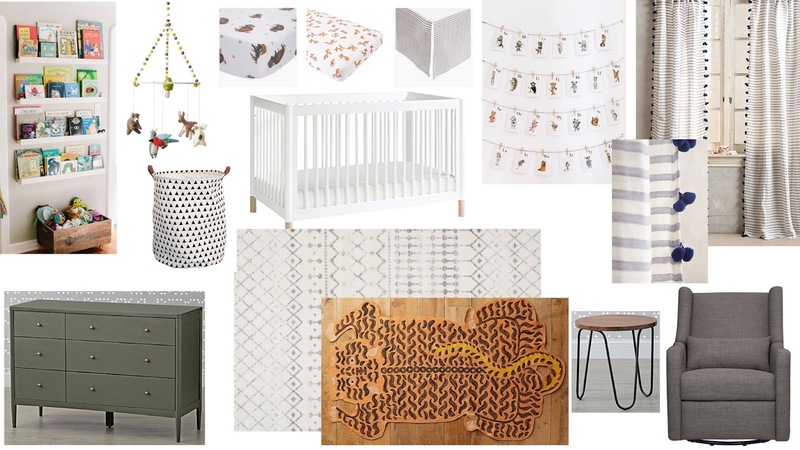 So naturally, I made myself a mood board and got to work creating the perfect whimsical nursery for our little one! There were a few pieces that I feel in love with early on that I knew I wanted to incorporate into the space. The first was a set of vintage flash cards that my mom had given me from her class years ago - I love their nostalgic charm. The second was this embroidered tiger rug from Anthropologie - it's just so wild and fun, such a statement! 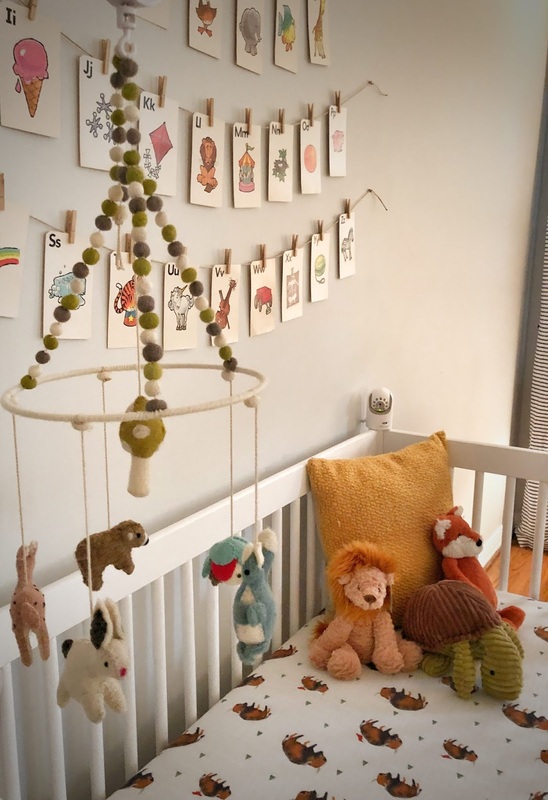 The third was this sweet little woodland animals mobile from Petite Pehr - I love the soft colors and texture. These pieces set the tone for the room and from there I layered in pieces that are fun and functional and add whimsical charm. 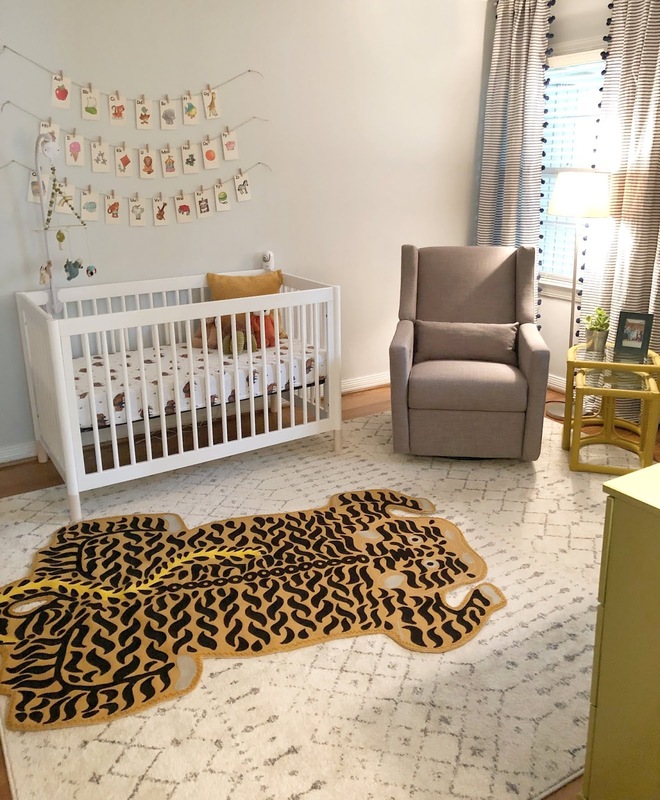 To anchor the space I layered this large neutral rug with the tiger rug on top and hung floor to ceiling drapes to add softness and impact. I love a good stripe and these Pom Tassel Curtains from Anthropolgie in navy were the perfect compliment to the gold tiger rug. The Flisat wall shelves from Ikea fit perfectly for a book wall between the two closets and the touch of natural wood creates a great pause point, allowing the colorful books to pop. 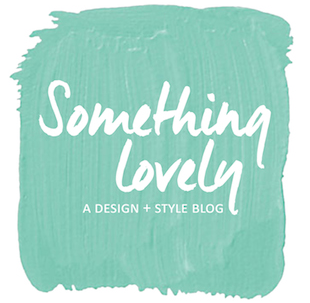 I loved the Crate & Kids Hampshire Dresser but at a $999 price point, no way! 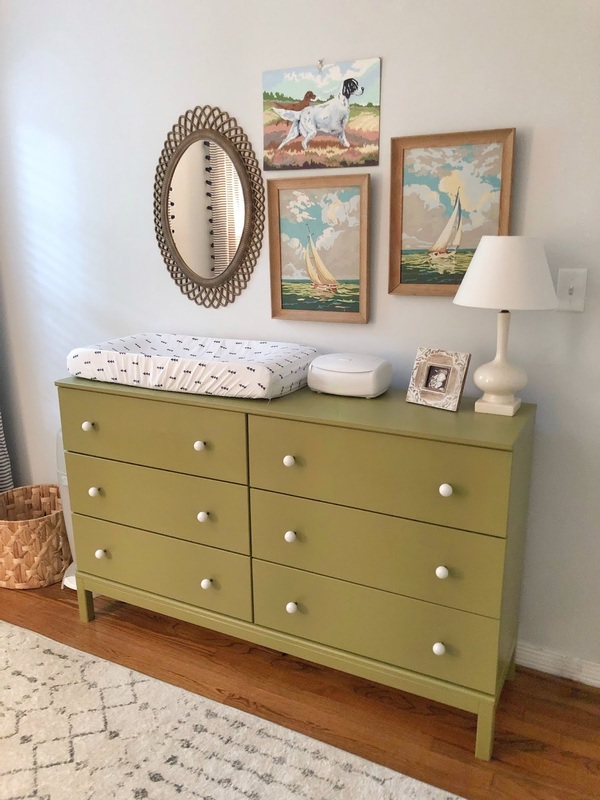 So, we got the raw wood Tarva six drawer dresser from Ikea, found our perfect shade of dusty-olive-slightly-retro-but-still-fresh-and-fun green, Rural Green SW6418 by Sherwin Williams, and put my mother in law to work - I absolutely love the way it turned out! The Babyletto Gelato 4-in-1 Convertible Crib in white and our Babyletto Kiwi Swivel Electronic Recliner in dark grey tweed are both functional and durable options that help balance out all of the other colors and patterns in the space. I absolutely love this rocker - it is so comfortable and being able to swivel, rock, and recline is amazing! 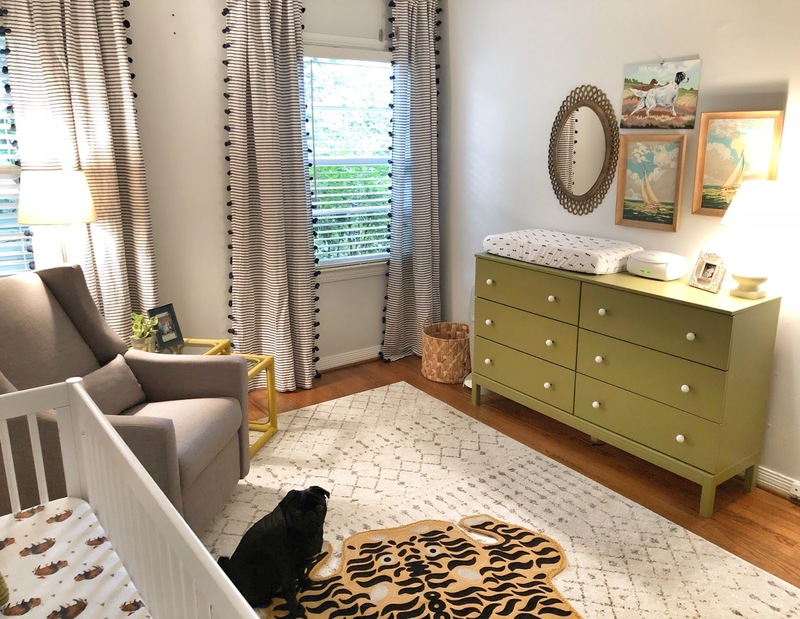 These adorable Little Unicorn Bison Sheets, a collection of vintage paint by numbers and a bright green plant add fun and color to the space. I am so happy with how this little space turned out! 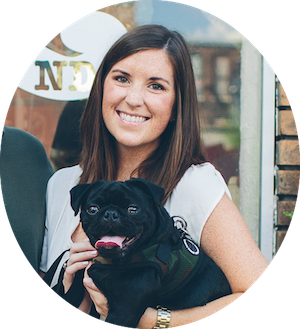 It's comfortable and eclectic with personality and plenty of functional space for our little man to grow and play. I love that it is filled with a mix of new and old, nostalgia and function but most of all love!